Working in the industry that we do, we at De Grey Mining have a responsibility to ensure that we operate in a manner that minimises the adverse environmental impacts our work may have. 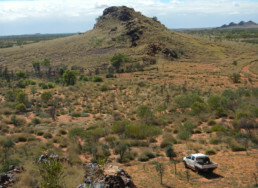 Some disturbance to the environment is an inevitable consequence of mineral exploration, however, we are committed to maximising rehabilitation of areas that have been disturbed by our activities. Such commitment is reflected in the company’s environmental and community relations’ policies sanctioned by the De Grey Board.